Congratulations to the U10B NJ Stallions 08 Boca EDP team on finishing as Champions of the 2017 EDP Fall Classic. 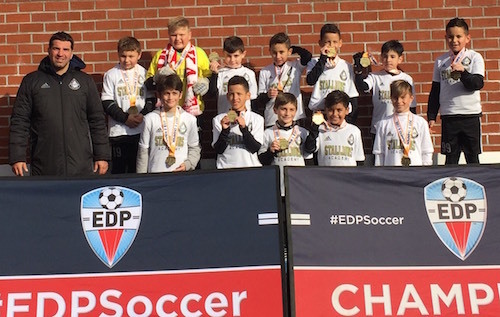 During their Fall EDP season, they finished with a 7W 1L record. At this year's EDP Fall Classic, they played four games including the final, scoring 12 goals, allowing only 2. Coach Pablo Dilandro is extremely proud of his young players. The club looks forward to a fun and productive indoor winter training season at NJ Stallions home indoor facility, Stallions Arena, in Clifton.